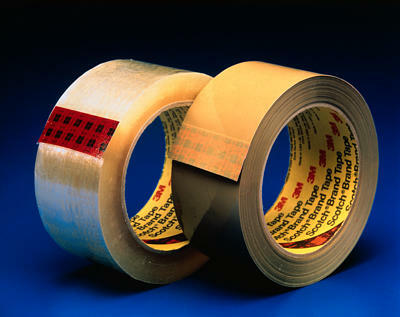 Best performing box sealing tape in most applications. Adheres to most surfaces, even to cartons with high recycled content. Works well on double and triple wall corrugated, heavy regular slotted containers (RSCs) with high value contents, over-packed and under-packed cartons. Available in tan and clear.